05 Feb 2019 --- US flavor company McCormick and information technology company IBM are pioneering the application of artificial intelligence (AI) for flavor development as part of an ongoing research collaboration. Using IBM Research AI for Product Composition, McCormick is “ushering a new era of flavor innovation and changing the course of the industry.” McCormick products developed using AI technology from IBM Research are expected to hit the market by mid-2019. 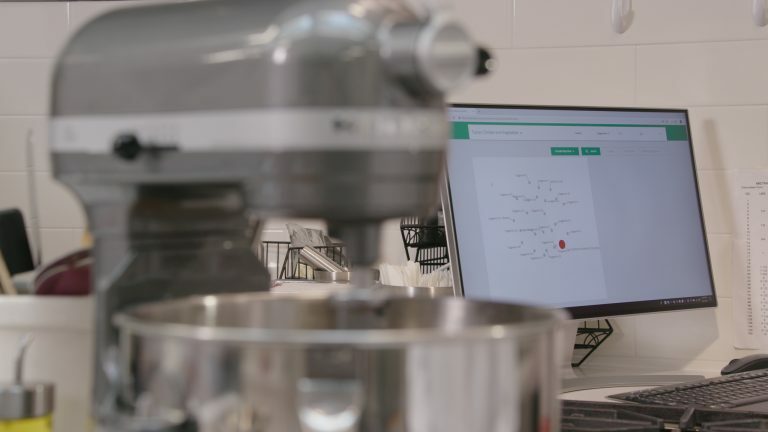 Product developers across McCormick's personnel will be able to explore flavor territories more efficiently using AI to learn and predict flavor combinations from millions of data points across the areas of sensory science, consumer preference and flavors. This technology, touted as “cutting-edge” by McCormick, seeks to set the company apart in its ability to develop more creative flavor experiences across both its Consumer and Flavor Solutions business units. McCormick expects to launch its first AI-enabled product platform, labeled “ONE,” later this year, with a set of initial one-dish recipe mix flavor blends including Tuscan Chicken, Bourbon Pork Tenderloin and New Orleans Sausage. Pairing McCormick's global expertise with IBM’s AI research helps McCormick accelerate the speed of flavor innovation by up to three times to deliver highly effective, consumer-preferred formulas. T Click to EnlargeScreen shot of technology based on IBM Research AI for Product Composition used by McCormick for flavor development. Photo credit: McCormick & Company he company’s flavor developers created this product platform by combining IBM’s expertise in AI with McCormick’s sensory science and taste data, which includes decades of past product formulas and millions of data points related to consumer taste preferences and palettes. AI has enabled McCormick's product developers’ access to an expanded portfolio of flavor profiles that enhance their creativity. The new ONE platform was specifically developed to deliver family-favorite flavors with the ability to season both the protein and vegetable. The new seasoning blends are expected to hit US retail shelves by late spring. Speaking to FoodIngredientsFirst, Dr. Hamed Faridi, McCormick’s Chief Science Officer says the company is looking to engage with technology to accelerate the speed of flavor innovation. This sparked an effort to leverage AI to advance McCormick’s commitment to innovation and usher in a new era in the integration of modern science and product development, Dr. Faridi reveals. “In the US, we have witnessed an explosion of flavor discovery and popularization that is revolutionizing the food we eat every day and the flavors we experience. There is an unprecedented demand for new flavors. 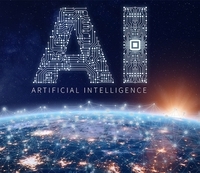 Additionally, the US is a leader in AI research and technology, so it is the perfect market to launch our first AI-enabled product platform,” he explains. Targeting increasingly adventurous consumers, seeking new discoveries and experiences, is key to product development in the food and beverage industry this year, according to Innova Market Insights. In November 2018, the market researcher revealed its top trends for 2019, with “Discovery: The Adventurous Consumer” topping its list. Consumers are moving out of their comfort zones to explore bolder flavors and sensory food experiences. There is a focus on heightened sensory delivery, often combined with an element of the unexpected, notes Innova Market Insights. Furthermore, McCormick plans to scale this technology globally by 2021. 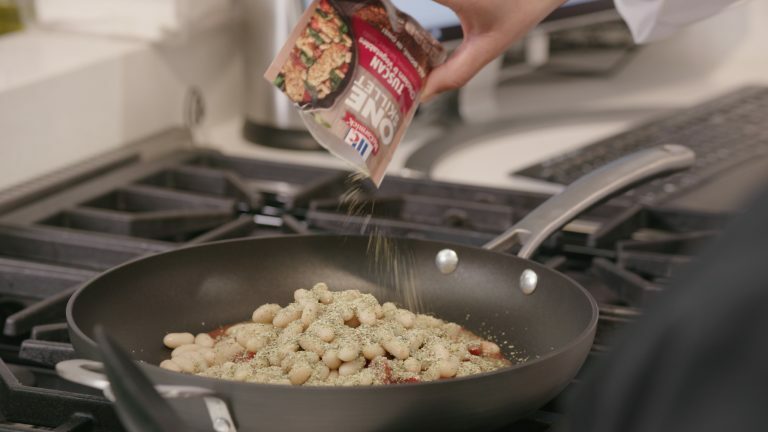 Click to EnlargeImage of a dish being cooked using new seasoning blend from McCormick that was developed with the help of AI technology from IBM Research. “McCormick's use of artificial intelligence highlights our commitment to insight-driven innovation and the application of the most forward-looking technologies to continually enhance our products and bring new flavors to market,” says McCormick Chairman, President and CEO Lawrence Kurzius. “This is one of several projects in our pipeline where we've embraced new and emerging technologies,” he adds. As a leading AI software, services and technology business, IBM is focused on working with clients and enterprises across many industry sectors to help advance data-driven technologies that push markets forward. The food and beverage industry has seen growing engagement with the global technology company over the past year. In October 2018, FoodIngredientsFirst reported that retail giant Carrefour joined the IBM Food Trust blockchain network, adopting the game-changing technology to improve traceability of certain food products with plans to expand to all Carrefour brands by 2022. A number of retailers, logistics firms and growers are working with IBM-developed blockchain technology – and Europe’s largest retailer has adopted blockchain to quickly help trace food back to its source within seconds. The blockchain-based cloud network offers businesses and food industry providers data from across the food ecosystem to enable greater traceability, transparency and efficiency. In the fragrance sector, IBM Research, together with global flavors and fragrance company Symrise, created an AI system named Philyra, which can learn about formulas, raw materials, historical success data and industry trends. Based on IBM Research AI for Product Composition, Philyra uses advanced machine learning algorithms to create new and innovative fragrances. According to IBM, the system is able to sift through hundreds of thousands of formulas and thousands of raw materials, helping identify patterns and novel combinations. IBM Research and Symrise used Philyra to create two new perfumes that will be released in 2019 by global beauty company O Boticário.